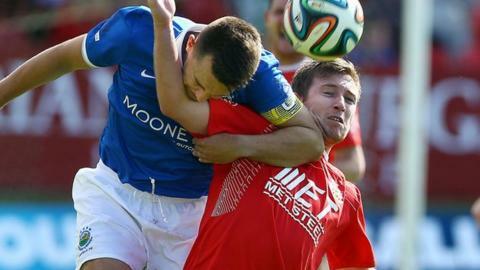 Portadown will take on Linfield in the pick of the Irish Cup quarter-finals while giant-killers H&W Welders have been drawn against Ballymena United. The Ports will have home advantage and the Welders, who stunned holders Glenavon 2-0, will entertain the Sky Blues at Tillysburn. Premiership pacesetters Crusaders will start as strong favourites to see off Carrick Rangers at Seaview. Glentoran face an Oval clash against Dungannon Swifts.